The busy-ness of modern life often gets in the way of the important things: surf trips, good friends, stopping to take a moment to actually enjoy yourself. Sometimes it takes an event or milestone to spur us into action. 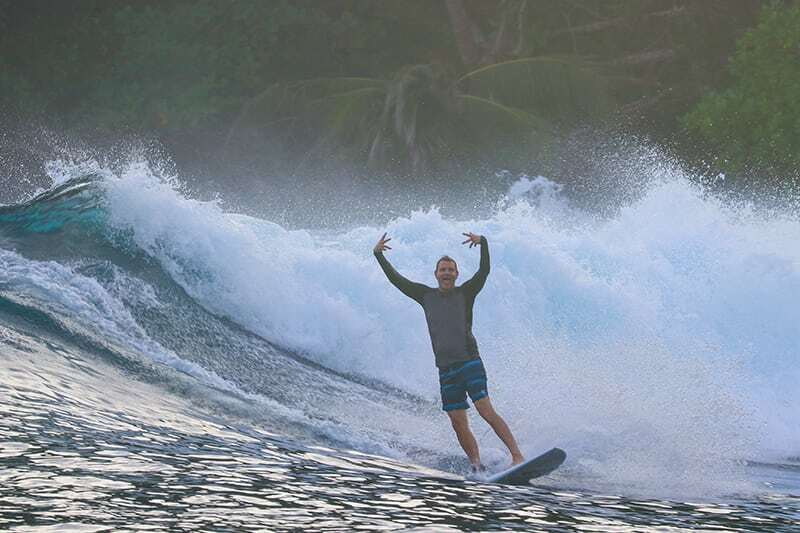 In the case of Brandon Tesser and Glen Feig – long-time friends from L.A who hadn’t done a surf trip together in decades – it was the occasion of their 50th birthdays that prompted them to take the holiday of a lifetime here at Pinnacles on Telo. The two birthday boys were joined by buddies from home – Bill Raymond and Joe Tourtelot – as well as solo traveller Maria Gurtensten from Brazil. Maria quickly earned the nickname ‘Little Ninja’ for her all-black surf outfits and her ability to be in the right spot at the right time out in the lineup. Maria charged like a little ninja should, and with her infectious humour and enthusiasm it only took a few sessions for all five guests to hit it off like old friends. The surf was fun, if not stellar. The trip opened up with a great session at our backyard break of Pinnacles, and we had memorable surfs at The Left and The ER, as well as a session at The Bubble (in a fairly dredgy mood) that pushed our guests to their limits. We also waxed up and paddled out at macking Schoolyards but it looked bigger from the lineup than it did from the boat! They may have both turned 50, and be great mates, but our heroes’ choice of boards couldn’t have been more different: Brandon fell in love with one of the Lib Tech quads we have here in the racks and surfed it exclusively the whole trip, whereas Glen charged on his classic rounded-pin single-fin. 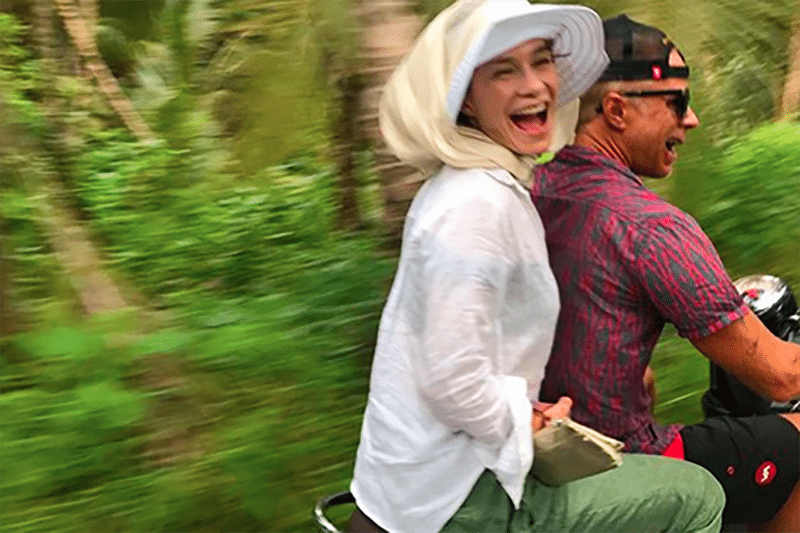 When the surf wasn’t firing, we checked out the Telo villages, snorkelled at crystal clear Bubble, but most of all, our guests really just enjoyed the opportunity to relax – to step off the crazy carousel of modern living for a while – and unwind in each other’s excellent company. So… any birthdays or anniversaries coming up on your horizon? We know a great way to mark the occasion!